OKCoin is a largest Bitcoin exchange in the world with a volume of over 16 million Bitcoins per month. The exchange was founded by its CEO Star Xu in 2013, and it’s based in Beijing, China. Star Xu is a very experienced technology executive with an extensive professional experience. He worked at major companies such as Yahoo and Alibaba as search algorithm engineer and served as a Chief Technical Officer at Docln.com – a popular file sharing website – where he was in charge for 120 IT engineers. Currently, OKCoin is focused on the Chinese market, but the company stated that they plan overseas expansion. The verification process is in accordance with standard practices in the industry, and the exchange successfully launched an international website where anyone can successfully complete the verification process (earlier it was quite difficult for non-Chinese residents). There are two levels of verification on OKCoin. With a newly created account, the user can’t make deposits or withdrawals, and it needs to go through the verification process. This level of verification allows deposits up to 2000 US dollars per day, but withdrawals are not allowed. When completed Level 2 provides 50,000 US dollar limit on daily deposits and withdrawals for personal accounts and 500,000 US dollars limit for corporate accounts. The exchange supports only two FIAT currencies – US dollar (USD) and Chinese Yuan (CNY). There’s the same number of supported digital currencies – only Bitcoin (BTC) and Litecoin (LTC) are available for trading. Gold Account – Additionally paid upgrade from VIP 5 level. One of the reasons for OKCoin’s success is their fee schedule. The fees are very low in the International market and unmatched in the Chinese market. Trading fees are based on a sliding scale like many others, and it refers to the monthly volume. Maker fees are set to zero, while taker fees drop as the trading volume increases. When it comes to futures trading, the open position is charged 0.03 percent, while closed position is free of charge. With the standard account leverage of 3x. BTC Futures, as well as LTC Futures, have an account leverage of 10/20x. US dollar is the only accepted currency for deposits, and the only two ways to deposit them are Bank and Wire Transfer. The transfer is free for corporate users, while individual users are charged with a 0.1 percent of the amount transferred. Bank fees are not included in the fee. Withdrawals in US dollars are also possible via Bank or Wire Transfer with 0.1 percent fee and a minimum of 15 US dollars. Bitcoin and Litecoin withdrawals are free of charge. The OKCoin is one of the most liquid, stable and advanced platforms today. 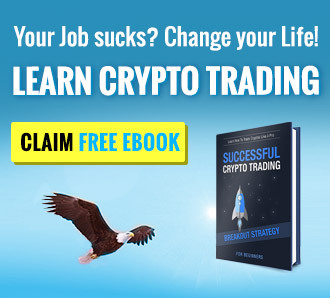 Top of the line exchange, especially for professional traders. The company offers a lot of advanced order types, including Iceberg orders, trailing stop orders and TWAPs. 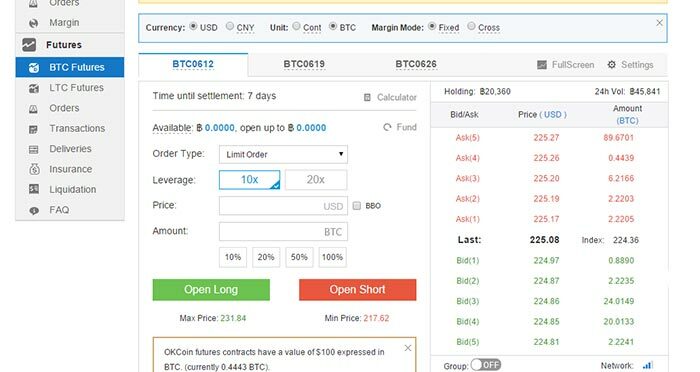 Short selling and margin trading are available and easily accessible by clicking on the button “borrow.” Depending on the VIP level, users can get 2 to 3x leverage, with a span for loans from 5 to 360 days. OKCoin is the first exchange to offer futures trading in BTC/USD pair and still has the largest liquidity. The website looks great and is very well adjusted for the professional traders. By clicking on the “full screen” button a sophisticated chart is launched, with many features and an integrated trading book. Numerous types of tools for technical analysis are available for both spot and future trades. The exchange offers email, chat and direct phone support in addition to the ticketing system. The support team is highly skilled and very professional, typically answering within an hour. The only remark – FAQ page. It’s not formatted well, and it lacks many answers. Answers that are available on the page don’t provide complete information. Before launching an international website, many non-Chinese users had problems with verification. There are a lot of complaints from that period about the exchange refusing the documents from International users without explanation and preventing them from withdrawing their funds. There were also a lot of comments related to the scandal from March of 2015 when many high-level executives left the company, following the changes in the company strategy from Mr. Xu. The exchange was later accused of inflating trading volumes artificially, in order to look like the biggest exchange in the BTC market. Other comments are related primarily to futures trading, as many newbies complained about the “frozen” funds not knowing that’s a normal practice. The exchange offers two-factor authentication and admin password feature which allows setting the frequency at which the trading requests the password. OKCoin holds 105 percent of the user funds in cold storage and has a hot wallet which always provides enough liquidity. In the case of a hot wallet breach, there is no doubt that the trading platform would easily absorb the hit. There are also email and SMS notifications, and the exchange uses PGP encryption in all email correspondence. Until now, OKCoin wasn’t hacked, but they suffered a DDoS attacks in the past. OKCoin is a serious trading company with a product that is pushing the Bitcoin market forward. All in all, an excellent exchange, especially for Asian users. Afraid SCAM factor > 0. 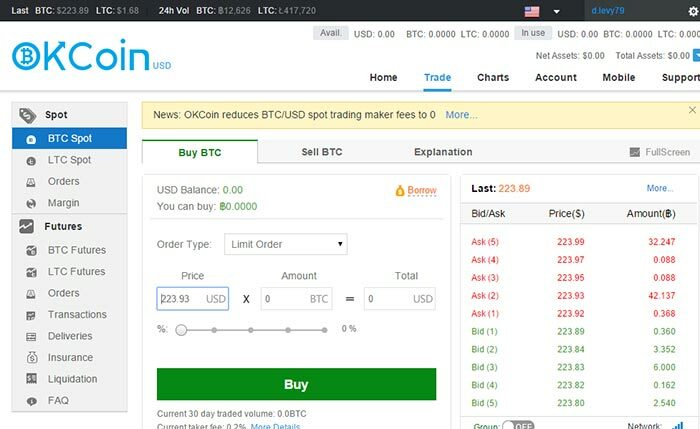 Two months ago okcoin.com was hacked, for several clients were stolen bitcoins (see on reddit “OKCoin stole my money…”). Support does not confirm the vulnerability on the side of the exchange, although all points to it. They respond to requests for a long time. Two weeks ago, they offered to compensate 60% me of the stolen property (~9.2 BTC), and now they are wasting time. They also hide any techical details about how account were hacked. okcoin is a scam!! lately they blocked all withdrawals before the shutdown to run away with all users funds. get your money out of there as fast as you can !! Terrible customer service, awkward verifying process – no possibility to delete account. Never again!